For a tasting experience like no other, enjoy this 90-minute, VIP whisky tasting at the Whisky Attic in Las Vegas. Sample seven different whiskies, hand selected to match the unique palates of the visitors. With over 2,000 different types of whisky to choose from, the tasting instructor has the tools at hand to create a sensory perception experience for both the master and novice taster. 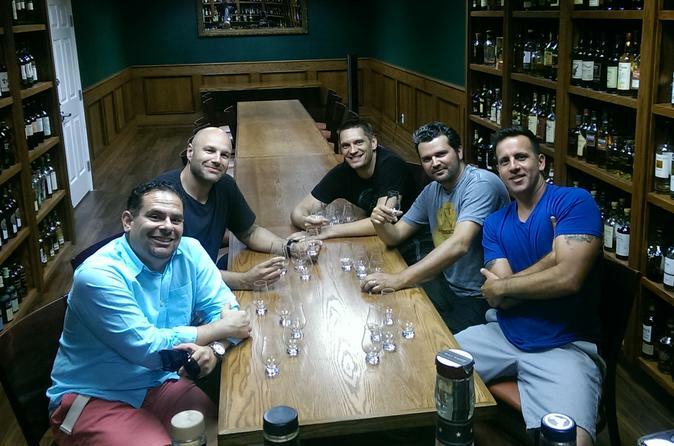 This tasting tour takes place at the Whisky Attic, located at 4780 West Harmon Avenue #12 in Las Vegas. Start with a brief proprietary seminar created by one of the foremost experts in alcoholic spirits in the world, Sir Adam Carmer. Learn about the history and evolution of tasting throughout society. After the introduction, each person will be given a Flavor Profile Assessment from which the instructor will hand select whiskies to match the palates of not only the group, but each individual. Over 15,000 people have tasted here and no two groups have ever had the same line up of whiskies. Then, learn the revolutionary tasting technique CSTEM (Carmer Spirits Tasting Enhancement Method), the only other recognized method of tasting and evaluating spirits in the world on the whiskies selected.